New to Netflix Australia April 2019, every new TV show and movie. With every new month comes the gift of a whole new bunch of TV shows and movies dropping onto our Netflix accounts. 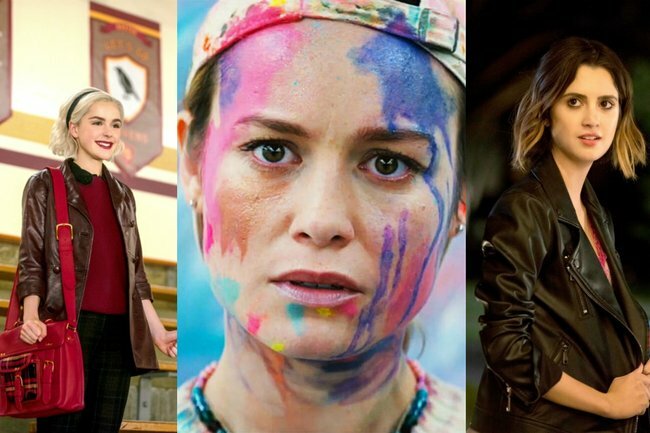 The new to Netflix Australia offerings this month include Brie Larson’s directorial debut Unicorn Store, the new zombie thriller series Black Summer and a gooey teen rom-com called The Perfect Date. Here’s everything you need to know so you can plan your April viewing accordingly. This fantasy comedy movie was directed and co-produced by Captian Marvel herself Brie Larson, in her feature film directorial debut. 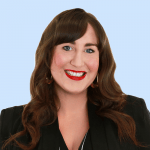 Unicorn Store follows a woman named Kit who receives an invitation form n unknown source that will help her fulfill the childhood dreams she had lost. The latest entry into Netflix’s horror and end-of-the-world genre, hot on the heels of Bird Box, is The Silence. When a vicious swarm of creatures, known as Vesps, are released from an ancient cave, 16-year old Ally Andrews (Kiernan Shipka) and her family, played by Stanley Tucci, Miranda Otto and Kyle Breitkopf go on the run from both the flesh-eating creatures and humans who are hunting them. The catch is, the creatures in The Silence are blind and attracted to sound, so they have to hide in complete silence. In this new Netflix original film, four longtime flatmates celebrate their last night together. As part of their celebration, they decide to play a game in which a secret is revealed. A secret that changes all of their lives forever. The new Netflix rom-com of our dreams is finally here. Brooks Rattigan (Noah Centineo) is a high school student who dreams about getting into an Ivy League college, but lacks the actual funds to do so. 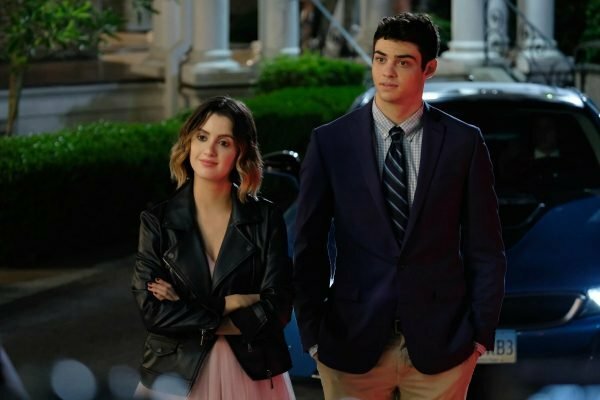 So in typical rom-com fashion, he tries to take a little extra cash by posing as the boyfriend of fellow student Celia Lieberman (Laura Marano). The endeavor is so successful that he launches an app selling himself off as a date-for-hire, until he falls in love with one of the girls. The Perfect Date will be available to watch on Netflix on April 12. Source: Netflix. Jane The Virgin star Gina Rodriguez stars in this film as Jenny, a wannabe music journalist who moves her entire life to San Francisco when she lands her dream job at a magazine. It&apos;s a great plan, until her boyfriend of nine years brutally dumps her. To try and fix her shredded heart, Jenny and her two best friends Erin (DeWanda Wise) and Blair (Brittany Snow) head to New York City for a wild trip. Netflix&apos;s new Italian crime drama The Ruthless, also known as Lo Spietato, is set in Milan in the 1980s. It tracks the story of a rebellious teenage boy named Santo Russo and who he grows up to become one of the city&apos;s most ambitious and dangerous criminals. If you like gritty mafia films, this is a must-watch for you. This is the firsts season of Netflix&apos;s newest anime series, Ultraman. The series will feature one of Japan’s most iconic superheroes but with a new twist. It&apos;s all about a hero who returns to Earth to protect the world from a new alien threat. Comedian Kevin Hart&apos;s newest comedy special was taped during a sold-out show in London while he was in the midst of his Irresponsible Tour. The special features Hart joking about his friends, family, travel and a whole of his responsible behaviour in a very raw and honest way. Chilling Adventures of Sabrina is a reimagining of the beloved 90s sitcom Sabrina the Teenage Witch and based on the original comic book series. Instead of light humour, the tone of this new Netflix series is a lot more Rosemary’s Baby and The Exorcist. Part two picks up days after were part one left off, with Sabrina leaving her mortal friends before to attend a more magical high school. 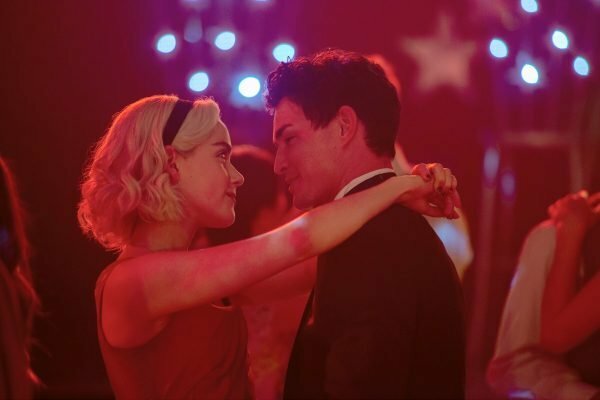 Chilling Adventures of Sabrina - Part Two will be available to watch on Netflix on April 5. Source: Netflix. This new documentary series, by the legendary Sir David Attenborough, is an eight-part series that will explore never-before-filmed wilderness areas and their animal inhabitants. The series was done in partnership with World Wildlife Fund and will highlight areas from the remote Arctic to the jungles of South America. A high school student named Maja Norberg finds herself on trial for murder after a tragedy takes place at a prep school in a wealthy suburb in Stockholm. This new mystery series is based on the best-selling novel by Malin Persson Giolito, which has been published in 26 countries. The six-episode series is action-packed and will make you question how much Maja really knows. You vs. Wild is a Netflix series with a bit of a twist. It follows famed wilderness adventurer Bear Grylls and takes place in very remote and far-flung locations around the world. A key feature of the new series is that there are multiple choices featured within each episode, allowing the Netflix user to direct the course of the story. New zombie drama Black Summer is a prequel to the TV series Z Nation but you don&apos;t need to have watched the original series to get into this. When an unexplained plague starts turning people into zombies when they die, a mass panic erupts and people begin to flee to refugee stations. Jamie King stars as Rose, a mother who is separated from her daughter and embarks on a journey to find her. The name of this new comedy series pretty much gives away the entirety of the plot. French comedy star Gad Elmaleh wants to reconnect with his distant 16-year-old son and so he moves to Los Angeles to be close to him. The only catch is that in the US he&apos;s a bit of a nobody and he really misses all the celeb perks. Ryan is a gay man with mild cerebral palsy who decides he needs to change his life, immediately. It may sound like a serious story, but it&apos;s more of an offbeat comedy. The story is based on series creator and star Ryan O’Connell’s memoir I’m Special: And Other Lies We Tell Ourselves, so it&apos;s got a very realistic feel. In No Good Nick 13-year-old Nick (a nickname for Nicole) infiltrates a family with the pure intention ofgetting revenge on them for unknowingly ruining her life. But as she gets to know the family she begins to have compassion for them and begins to doubt that she can even go through with her deathly plan. Dr. Brené Brown is a research professor and best-selling author with one of the most viewed TED talks of all time. Her first hour-long Netflix original dispels the misconception that courage and vulnerability are mutually exclusive. She also deep-dives on the origins of her TED talk. The special was filmed in front of a live audience. Street Food comes from the same creative team as the wildly popular series chef&apos;s table. It takes viewers to some of the world&apos;s most vibrant cities to explore new types of food and each episode highlights a different culture. In his second Netflix original comedy special, Anthony Jeselnik&apos;s critical and biting style of satirical comedy takes a look at a series of societal taboos without hesitation. It&apos;s a show that takes risks and might not be for everyone.